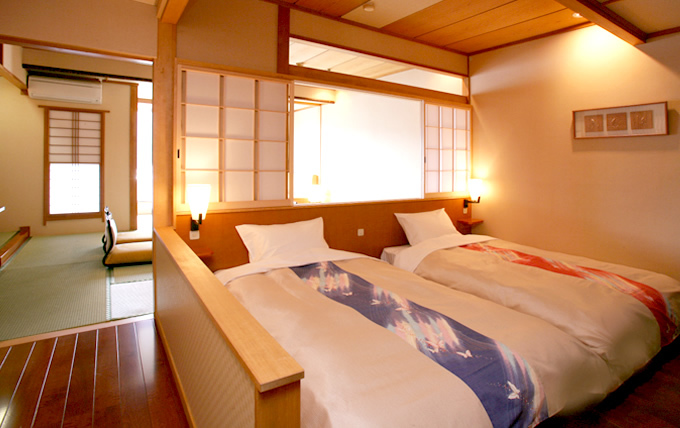 In this room, Japanese taste and western modernity are combined: in addition to a 15.5m2 Japanese-style room, low beds are furnished in the Japanese-style space. 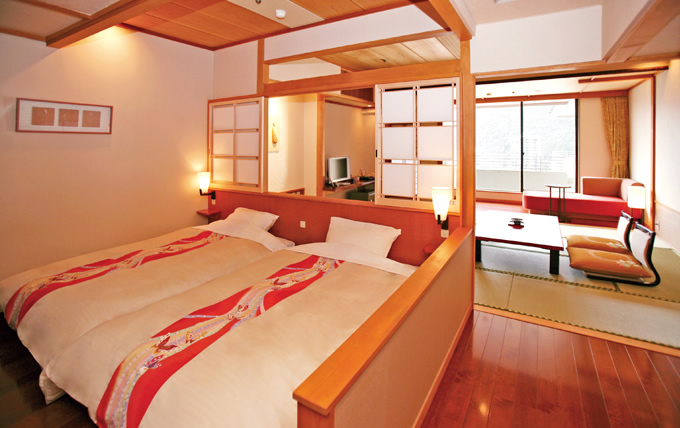 Feeling the warmth that the wood materials provide, the guest can stay comfortably in the ample space. 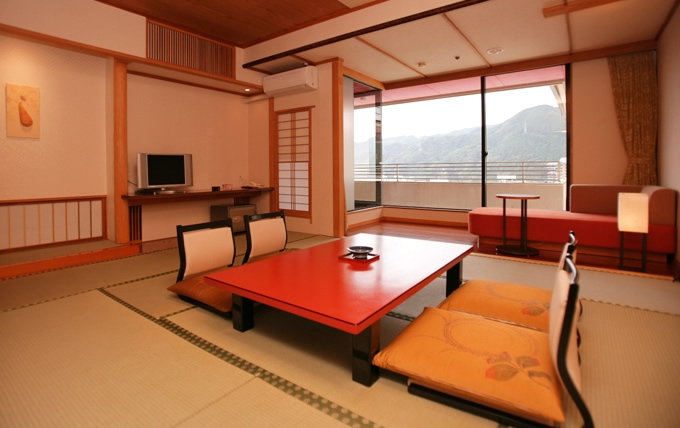 * The charges listed are for bed and breakfast per night for one person (tax and service charges included). You can choose either a Japanese-style or a Western-style set meal for your breakfast. Please inform us of your choice no later than the day before. * The above are regular charges. Charges for holidays and days immediately preceding a holiday differ from the regular charges. Please contact us for details.